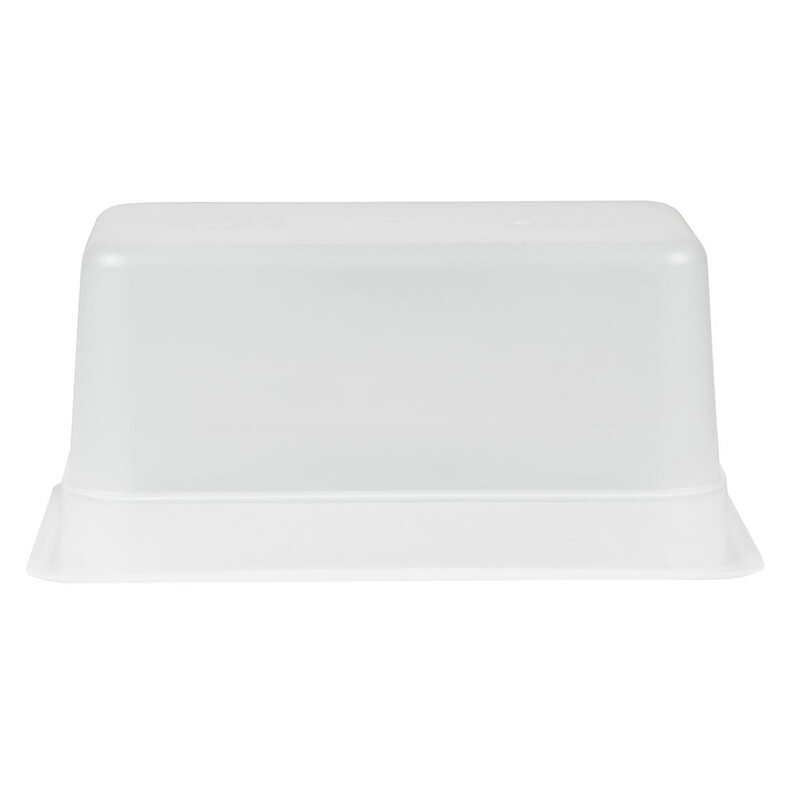 The Cambro 36PP190 third-size food pan is made of clear polypropylene for strength and product visibility. 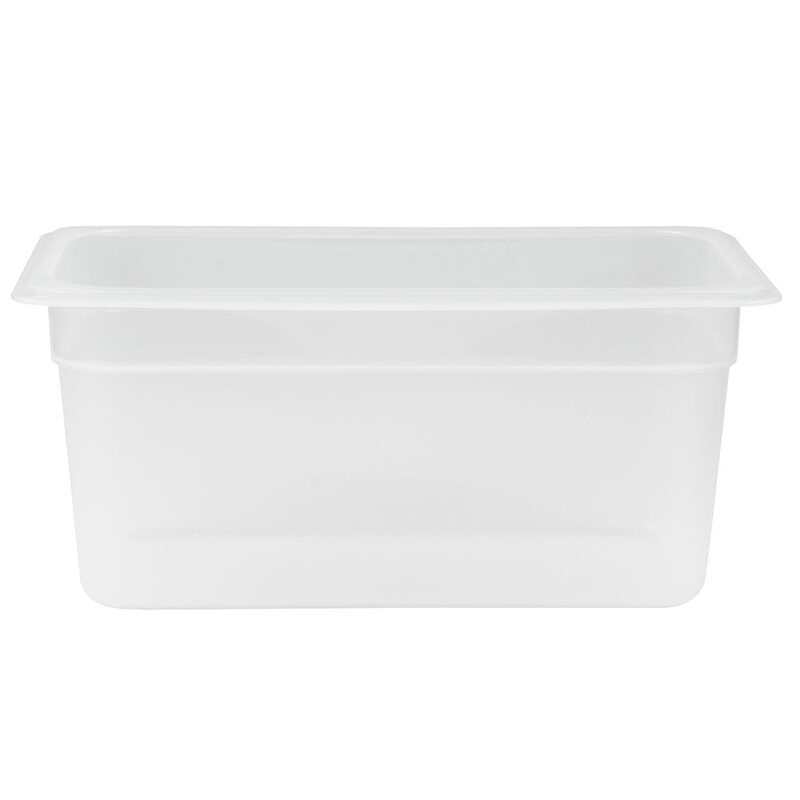 It has a 5.6-quart capacity and can withstand temperatures from -40 to 160 degrees Fahrenheit. 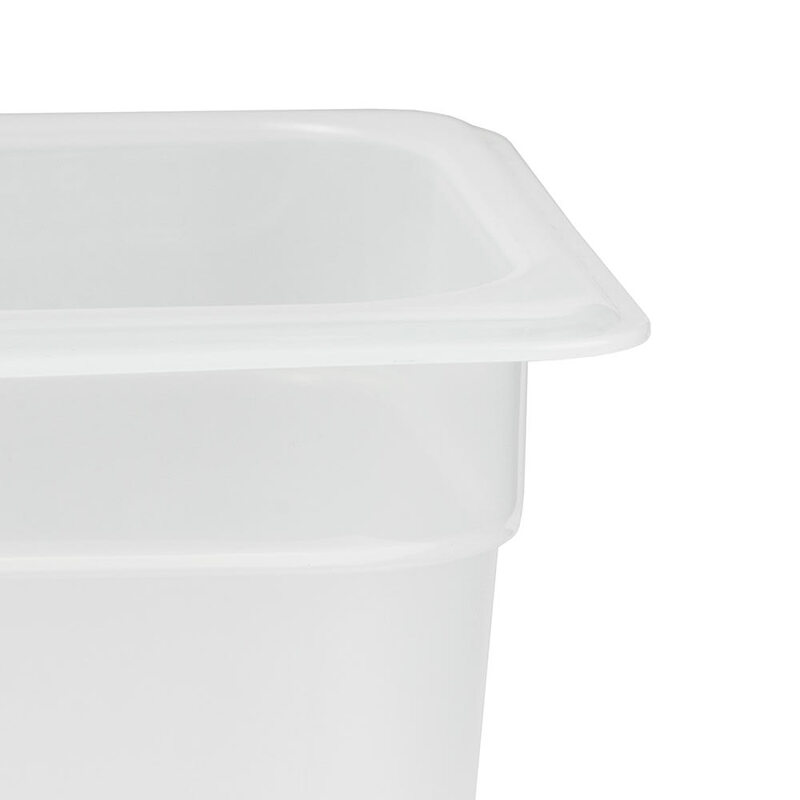 To facilitate cleaning, the dish has a nonstick surface. 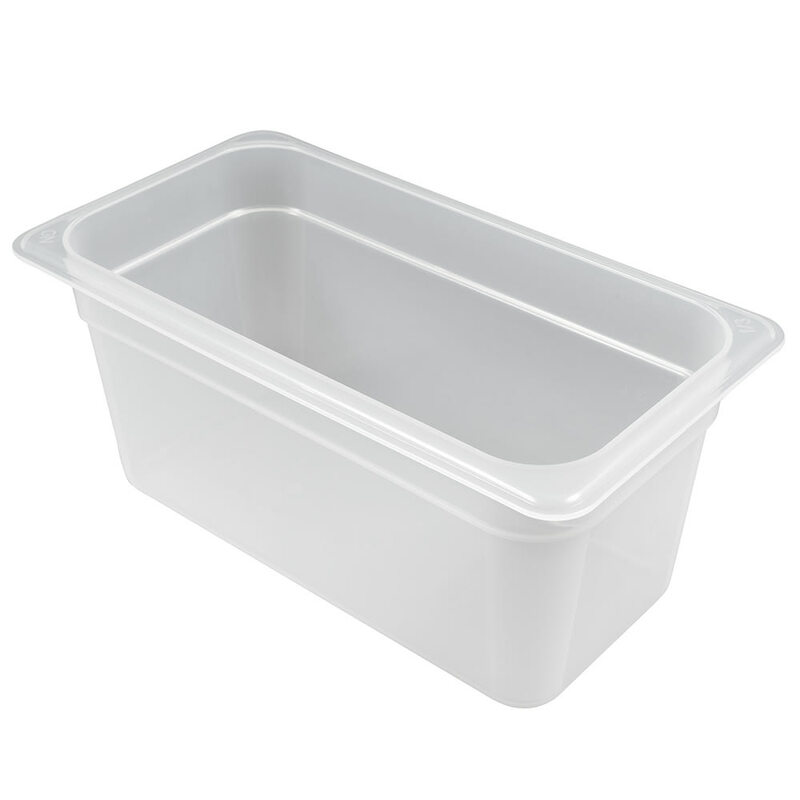 Visit our Cambro food pans guide to learn more.